Find us on FACEBOOK, MEETUP or search "Clocktower Runners" for great stories and updates. Come run with us! 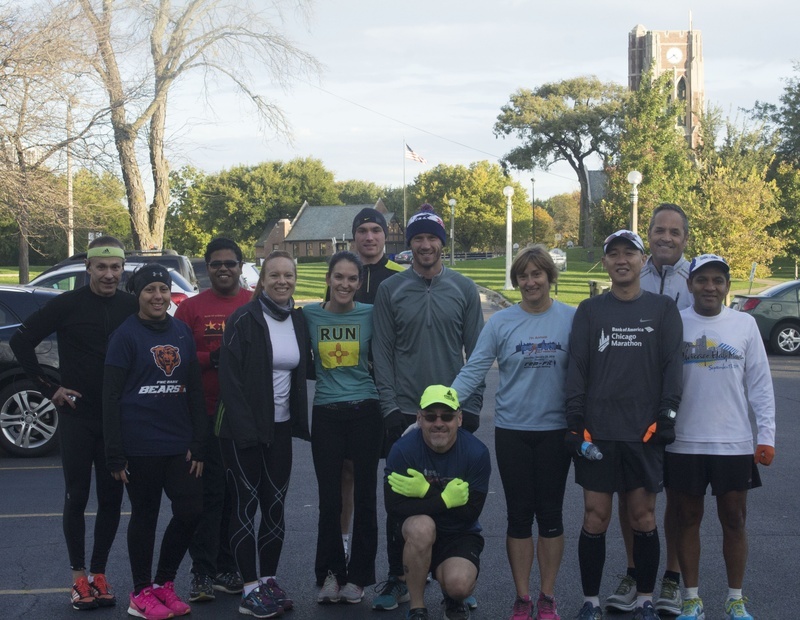 We meet every Saturday morning throughout the year, starting from the Waveland Clocktower on Chicago's lakefront. During the training season for the Chicago Marathon [June 3 to October 8, 2017], we meet at 6:30 am, have formal pace groups, and follow the marathon training schedule. During the remainder of the year [October 14 to late May 2018], we meet at 8:00 am for training runs for other races or fun runs. Pace and distance are up to each individual runner but most people typically run between 6 and 12 miles. Click HERE for a location map or CONTACT us. The Waveland Clocktower is located at 3600 N. Recreation Dr. Recreation drive can be accessed by exiting on Northbound Lake Shore Drive or by heading east on Irving Park Road and crossing under Lake Shore Drive. Parking is available in the lot just south of the Clocktower. This lot can be reached from an access road that is south of the tennis courts and north of the totem pole. For Security Purposes, please avoid bringing and leaving valuables anywhere inside your vehicle during your run. Oct 22, 2016: It was a fabulous cool autumn morning for a run on the lake. Accelerated Rehabilitation Centers is pleased to offer an INJURY HOTLINE (312-523-4064) as well as free injury screenings for the Clocktower Runners. Feeling some pain or concerned about various types of interference with your training program? Don't wait, call or make an appointment for a free injury screening today. Copyright © 2017 Clocktower Runners, All Rights Reserved.